LG is set to take the stage at CES next week, but it looks like the South Korean company just couldn't wait to show off some of its new products for 2014. Earlier today, LG announced just a few of the new devices it's bringing to Las Vegas, including two new PCs and a second-generation Tab-Book (pictured above). 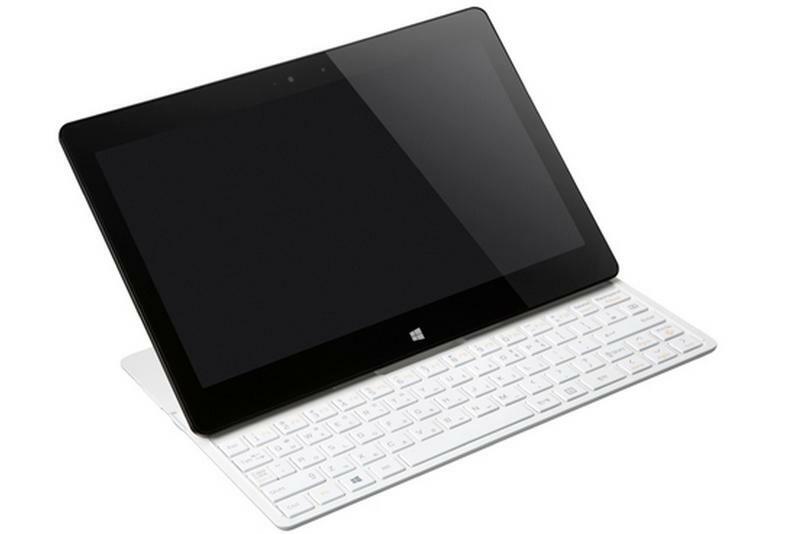 The Tab-Book2, a follow-up to the original model unveiled at CES 2013, is a tablet-laptop hybrid running Windows 8.1. The devices features an 11.6-inch Full HD touchscreen with built-in slide-out keyboard and an Intel Core i5 processor. Little else about the product was mentioned, though we expect to learn of the rest of its features next week. LG will also unveil a 13.3-inch Ultra PC with an HD display, a slimmed down design, Haswell processor and SSD support. Finally, the company revealed a massive 27-inch all-in-one (AIO) PC, which also doubles as a TV, and even offers picture-in-picture so you can channel surf and browse the web simultaneously on the same screen. The South Korean company didn't detail pricing or release dates for any of the products and, again, we expect to hear more on those fronts next week when it shows each off during its press conference.